You have to feel sorry for leaders of the Michigan Republican Party: They have a tough job this year. They want to promote Rick Snyder, the Republican governor. The obvious, easy way to do that is to highlight the state’s economic record. Since Snyder took over as governor in 2010, Michigan’s unemployment rate has fallen steadily to 8.3 percent, which is only slightly higher than the national average. (See graph below.) That’s pretty remarkable, given the state’s well-chronicled troubles. But nobody seriously believes Snyder’s policies have a lot to do with the Michigan's recovery. The state is on the rebound largely because the auto industry is on the rebound. And the auto industry is on the rebound largely because President Obama saved it, over the objections of national Republican leaders and, at times, Republican presidential nominee Mitt Romney. By pointing to Michigan’s recovering economy, state Republicans are almost certain to help Obama as much, if not more than, they’ll help Snyder. Barack Obama won't have to worry too much about holding Michigan for the Democrats this fall—he leads Mitt Romney 53-39 there, a lead little changed from PPP's last poll of the state in February when his advantage was 54-38. Romney just doesn't have much of a home field advantage in the state. Only 24% of voters consider him to be a Michigander to 65% who do not. And only 35% have a favorable opinion of him to 57% with a negative view. It's not just Romney's unpopularity helping Obama in Michigan though. Obama's own approval rating is at a record high in our polling of the state with 53% of voters giving him good marks to 41% who disapprove, including a 50/43 standing with independents. Obama could still lose Michigan. In fact, if the national economy falters, he could lose virtually any state that’s not California, Maryland, or part of the Northeast. But if Obama loses Michigan he’s probably losing a bunch of other swing states and he’s lost the election anyway. Who knows—maybe state Republican leaders have already come to the same conclusion. And maybe they have decided to focus on doing what they can to help Snyder, rather than trying to hurt Obama, because they have more ability to do the former than the latter. By the way, somebody at Public Policy Polling has a sense of humor. 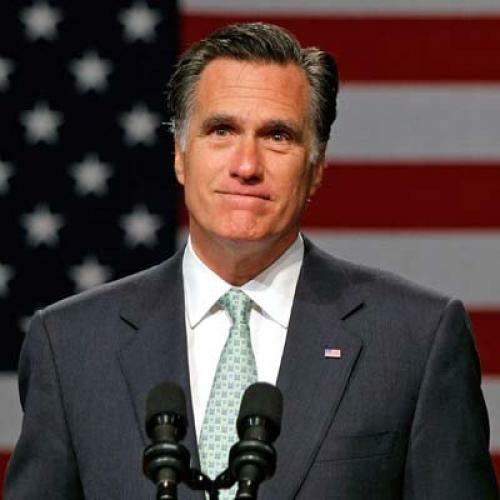 The organization asked respondents whether, as Romney said during the Republican primaries, trees in the state are “just the right height.” The response? only 38% express the sentiment that their trees are the right height while 8% think they are not and 55% are unsure. Democrats (48%) are actually more likely to express agreement with Romney on that front than Republicans are (34%).